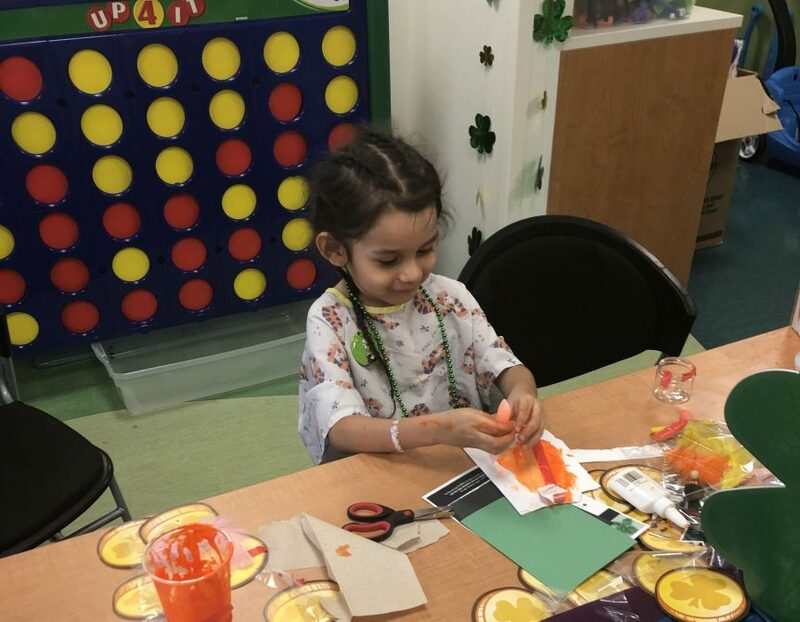 We had another successful St. Patrick’s Day party at Rush Hospital this past week! There were 3 patients that we able to come down to the party with us and another 20 that we visited beside. 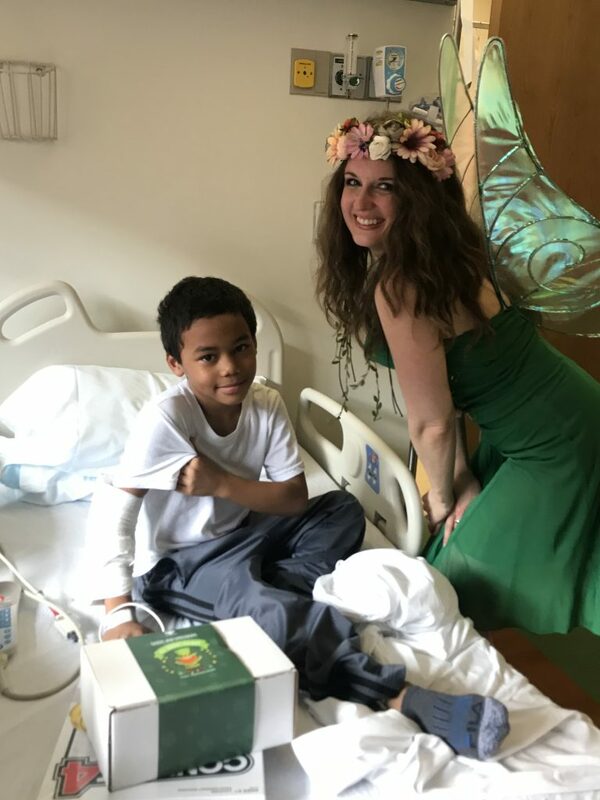 We had our craft kid boxes, toy giveaways and a very special fairy that came to visit with us. There were 2 friends in the playroom the whole 2 hours working on the crafts. 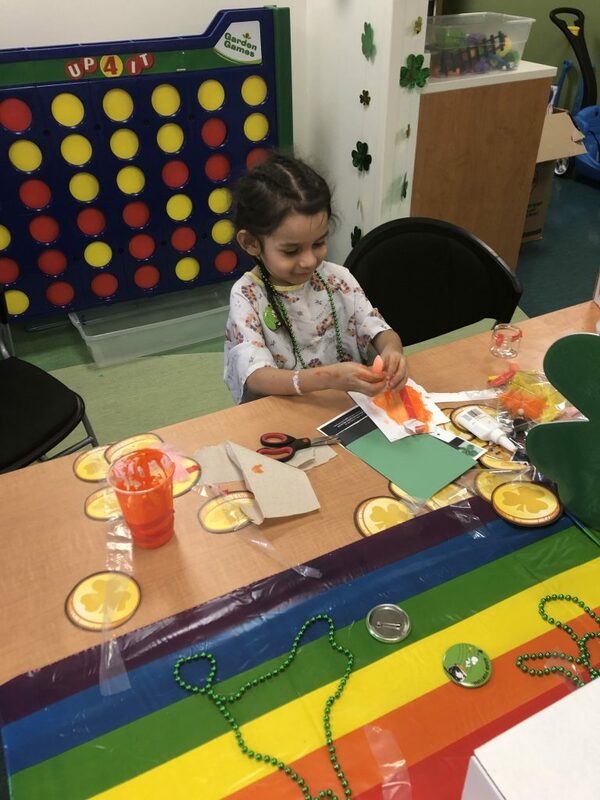 They were very close in age and it was so amazing to see them interacting with each other while both very into their St. Patrick’s Day crafts. Thank you the Child Life staff for helping to make this party so successful. They are truly wonderful individuals and make such a huge impact on these children lives. Thank you to Lindsay for joining our superhero team! This was her first party with us and she rocked it! 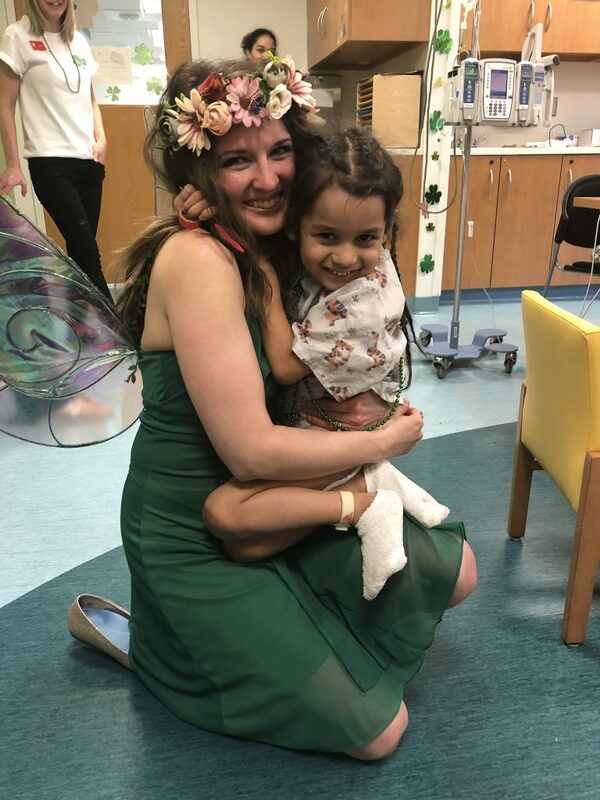 Thank you to Jessica at Parties with Character for dressing up as a fairy! We are still looking for a lead hero volunteer for Rush. If you are interested in learning more click here!